True to his stockbroking roots before entering active politics, Bharatiya Janata Party (BJP) President Amit Shah owns shares in several large- and mid-cap firms led by Reliance Industries Ltd. (RIL), Tata Consultancy Services (TCS), UltraTech Cement and HUL, among others. As per the affidavit filed with the Election Commission of India (ECI) as part of his nomination papers for the Gandhinagar Lok Sabha seat, Amit Shah, aged 57 years, has a total net worth Rs 30.49 crore, of which Rs 17.56 crore comes through holding shares in listed entities as of March 22, 2019. While Shah's portfolio is diversified across mid-cap and large-cap firms, prominent among them is RIL in which Shah holds shares worth Rs 2.15 crore. Apart from Rs 17.56 crore worth of shares held in around 200 listed firms, Shah also holds Rs 3.08 lakh worth of shares in 80-odd unlisted firms, while his wife Sonalben, with a total net worth of Rs 8.35 crore, holds Rs 4.35 crore worth of listed shares and Rs 1.58 lakh unlisted shares. As per his affidavit with the EC, Shah also owns total immovable property worth Rs 12.87 crore, including agricultural land worth Rs 1.25 crore, non-agricultural land worth Rs 6 crore, as well as, flats and apartments worth Rs 3.2 crore, among others. On the other hand, his wife Sonalben owns total property worth Rs 3.90 crore. Shah's and his wife's total bank savings include fixed deposits worth Rs 18.89 lakh and Rs 18.72 lakh, as well as, gold jewellery and other precious stones worth Rs 35.29 lakh and Rs 63.34 lakh, respectively. It needs to be mentioned here that Amit Shah's portfolio does not include any shares with the Adani Group companies. Meanwhile, the Congress has sought Shah's disqualification by the EC from contesting Lok Sabha elections from Gandhinagar on grounds of filing a 'false affidavit'. 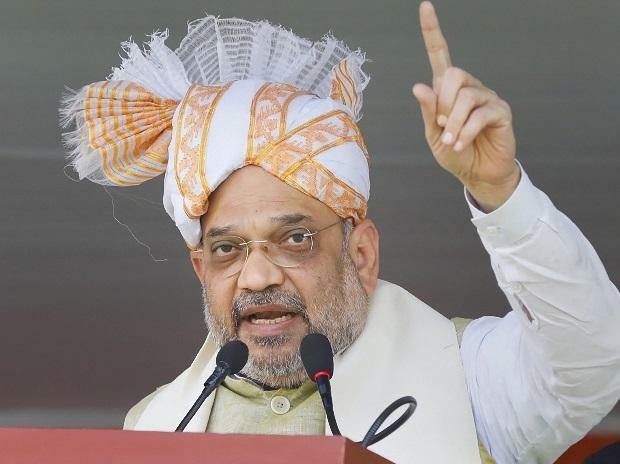 The party claimed that Shah has made two omissions in his affidavit including not mentioning a plot in Gandhinagar as well as loans taken from a commercial bank by his son for which Shah is the guarantor. Calling for immediate action against Shah by the EC, Congress alleged that the omission of liabilities was "deliberate and non inadvertent".